You may have heard of Zumba classes – it’s a fitness craze that came to our shores in the mid 1990’s and its popularity shows no signs of abating. 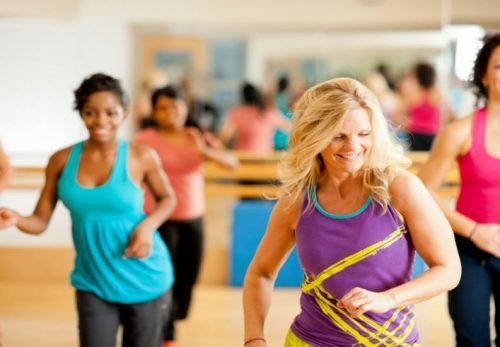 Zumba classes are a Latin-inspired cardio-dance workout that uses music and choreographed steps, creating a party atmosphere whilst you workout. 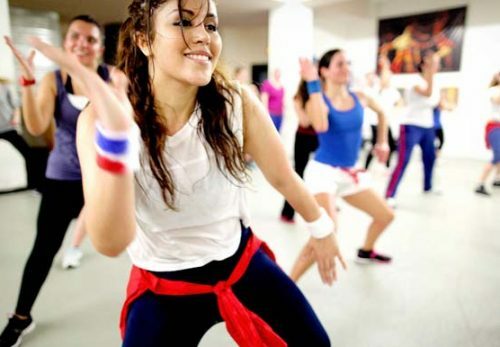 Some of the music used is Latin American, however Zumba classes at Ingrebourne Links also make use of different genres of music from jazz to African beats, hip-hop to modern pop. Over 10 million people worldwide take Zumba classes in more than 90,000 locations across the world. Most Zumba classes are an hour long. They begin with a dynamic warm-up and conclude with a cool down and some stretching. In between, the workout is broken down by song, each with a different routine. Common moves in Zumba classes include V-steps, cha-cha-chas and side touches. Who Should Take Zumba Classes? Zumba classes are great workout ideal for anyone who can stand up and dance – and when we say, “dance”, we’re being very liberal! In fact, no dance experience or skills are necessary. If you can shake your booty and like fun music, this is the class for you. Members of Ingrebourne Links can participate in free Zumba classes staged throughout the week in accordance with their membership category conditions.